Did you know Sun Sense recently released their new and improved 'lighter feel' sunscreen range? The newly reformulated sunscreens are more lightweight to wear for everyday, which means that it's not too thick or greasy. I tried out two of their new products from the range including 'Sport' and 'Ultra', both with a SPF protection of 50+, and they also come with Vitamin B3 which incredibly moisturises the skin. These handy 125ml bottles are perfect for those constantly outdoors and on the go as they're not too heavy to keep in your bag. Furthermore, they're made for all skin types and most importantly, they help to protect the skin against sunburn and skin ageing. These sunscreens provide up to 4 hours of water resistance and are made in Australia. 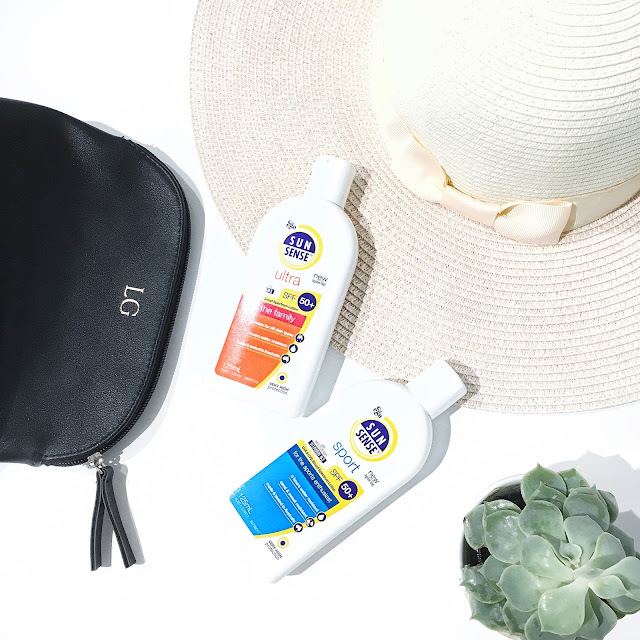 I always look to rely on Australian made sunscreens, especially with the Sun Sense range, mainly because I grew up with the brand and it simply worked to protect my skin from the harsh UV rays over the many years. So if you're after a lighter feel for your sunscreens, you definitely need to get your hands on the reformulated versions by Sun Sense today. Have you tried out the newly reformulated sunscreens yet?